I rarely watch TV so I missed Emily West on AGT but from the first song I heard which was Sia's Chandelier I wanted more! 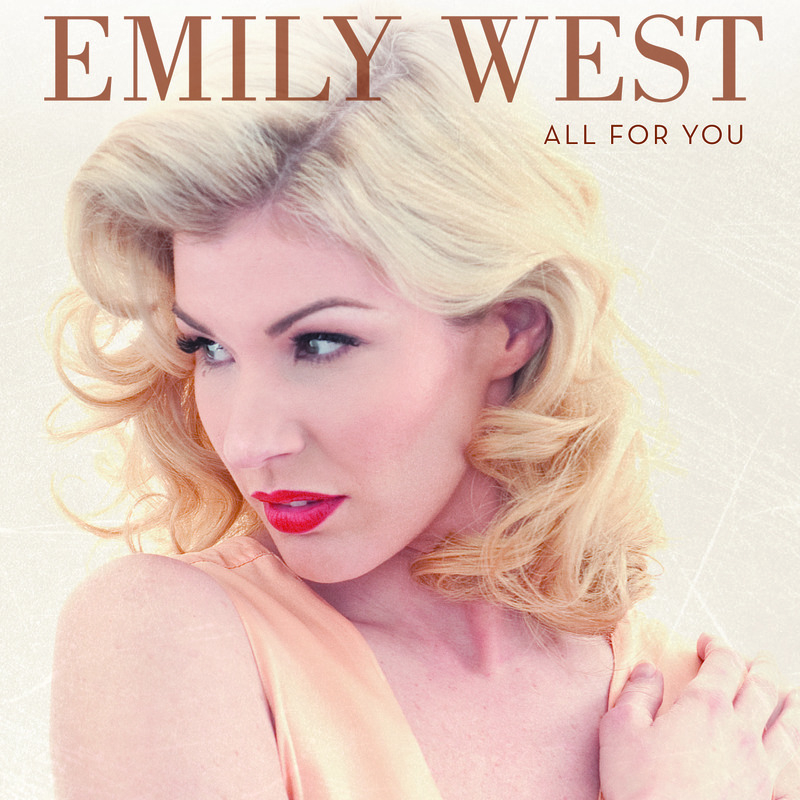 Singer-songwriter and vocal powerhouse, Emily West releases her debut album All For You, available August 14 (Portrait/Sony Music Masterworks). West will join the 42-city America’s Got Talent Live: The All-Stars Tour­ commencing in October – dates below. In addition, she will continue to open for comedian Jay Leno on tour and has solo dates in September. All For You features four original songs including “Bitter,” the first single. RollingStone.com raves that “’Bitter’…swells and soars thanks to West's impassioned vocals. Heartbreak has never sounded quite this uplifting.” The music video for the track premiered on Yahoo Music - check it out here. On “Fallin’,” West and Rhoads deliberately evoked “Billie Holiday and an old-school kind of song that dealt honestly about situations in life.” The song takes an unexpected tragic turn at the end, and is one of West’s favorite originals. The album also includes several covers of major hits that fans of AGT will remember from her season on the show. Rounding out the album are two songs that West performed so memorably on AGT: “Nights in White Satin,” which is special because “it’s my parents’ love song” and “Chandelier,” a track she was initially unsure whether she could perform credibly, but ultimately made it her own. Driven by her love and fear of New York City, West got on a plane, got lost on the subway, and found herself auditioning for AGT. This gave her the opportunity to demonstrate her vulnerability and versatility to a wide audience. All for You culminates a dizzying climb from West’s relatively humble origins as a country recording artist to national recognition after being championed by AGT judge Howard Stern and coming in second in the finals. Since AGT, West signed to Portrait Records, and in December she shared the stage with her hero Cyndi Lauper at Lauper’s annual Home For The Holidays benefit concert at the Beacon Theatre in New York. She headlined a multi-city tour, bringing a series of weekly performances of her one-woman show to New York City, Philadelphia, Los Angeles, and Chicago. West also co-hosted the red carpet at the first American Country Countdown Awards in Nashville and has performed the National Anthem at numerous sporting events for the NHL, MLB, NBA, WNBA and the Kentucky Derby. West released a video collaboration with Postmodern Jukebox, a Roy Orbison-esque version of Kanye West and Paul McCartney's "Only One." Sony Music Masterworks comprises Masterworks, Sony Classical, OKeh, Portrait, Masterworks Broadway and Flying Buddha imprints. For email updates and information please visit www.portraitrecords.com. I love female vocalists! I was happy to find a new female singer that I feel has what I love in a voice when I listen to music. Like Lara Fabian, Adele, Christine Perri, Patty Smyth, Stevie Nicks to name a few, Emily's voice has depth and emotion that makes them stand out for me above all others. From the first song, Sia's Chandelier; I was in love. I LOVE Sia. Her voice is another one that bleeds raw emotion but the style in which Emily sang it was completely different. When she breaks into the chorus I am completely gone. The beauty of her voice with the fearless lyrics of Sia are stunning. It is a completely different feeling from Sia's and I love that. All of the songs are unbelievable. Delivered like a seasoned pro and will have you NOT singing along right away but closing your eyes and really listening. My second favorite is Without You by David Guetta (believe me you know this song). Is another stunning version of a song I love. Emily's voice is truly an angels. It is pretty, clear and truly mesmerizing. I want to put my headphones on and really listen again. Without outside noise so I can hear the exquisite sounds of a voice I need to hear more of. Disclaimer: I received a complimentary CD for my honest opinion.